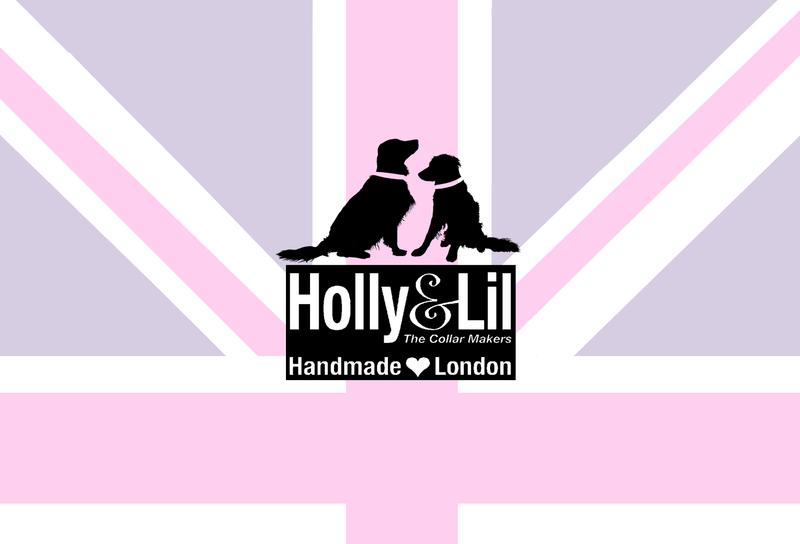 Decorated dog collars - Holly & Lil Collars Handmade in Britain, Leather dog collars, leads & Dog harnesses. 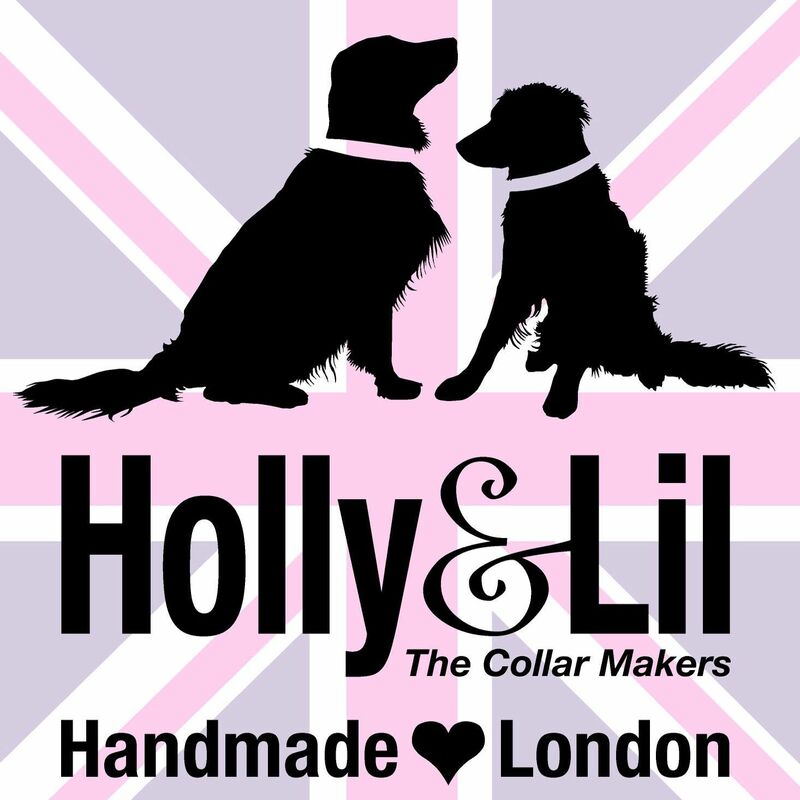 Our beautiful collars are designed for all sizes of dogs. We hand sew the decorative elements onto our hand made calf leather collars with high tensile nylon filament. We know they are for dogs but we need you to use your common sense too. 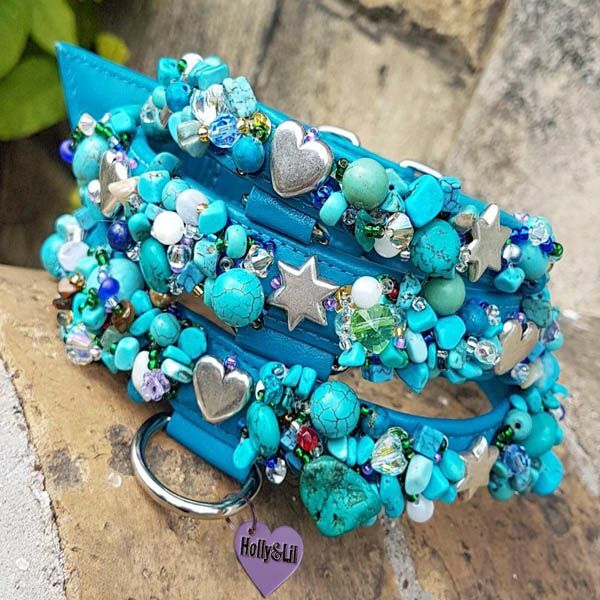 If your dog is constantly scratching its neck, thundering through undergrowth or wrestling with other dogs then these decorated collars are not a good choice for everyday walkwear – but they do make perfect party wear. 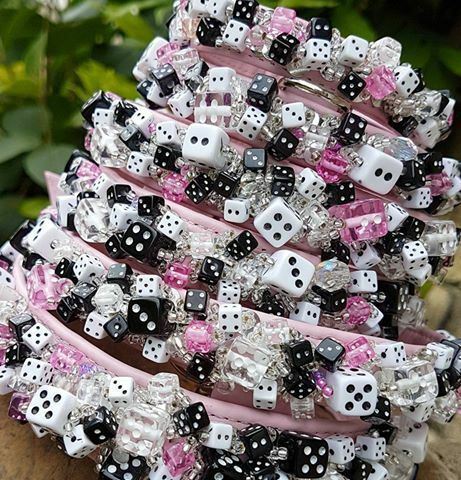 The encrusted collars are of course 'hardier' than the charms that dangle... just think ... would I wear a charm bracelet in this situation? 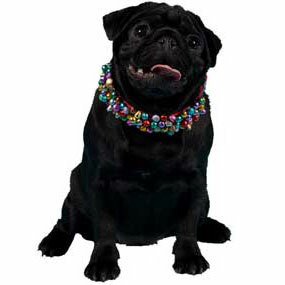 We have lots of decorated collars in stock plus. 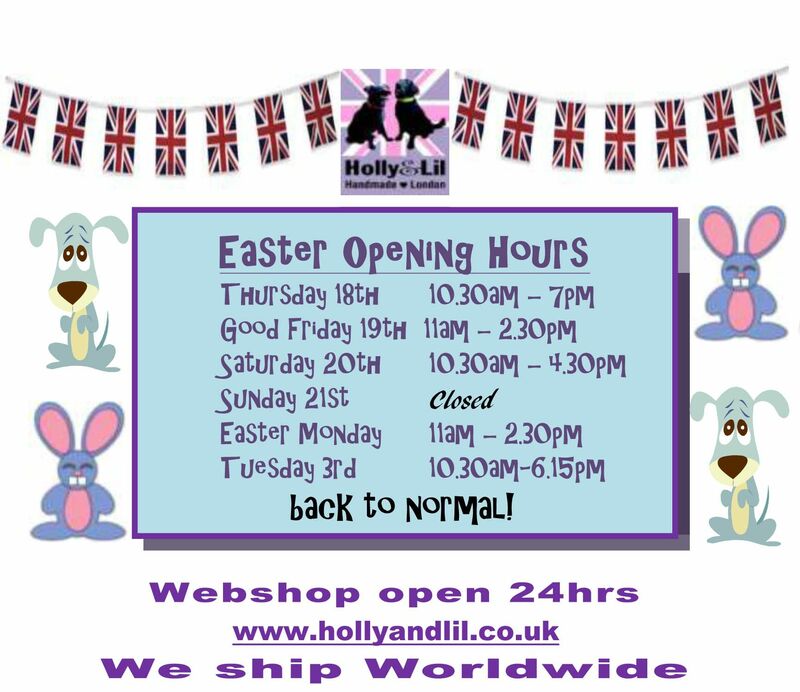 If you want to talk it through and we can help, email or call us - collars@hollyandlil.co.uk or 0207 237 7226 or text 07811715452. Please check our Size guide to make sure you get the right size. And to check you make a sensible decision for your dog. Please select from list below or click on Refine to see the department menu.